M&C Saatchi has been working with Outline Artists’ Rob Bailey for several months on a series of vibrant illustrated posters for Transport for London. 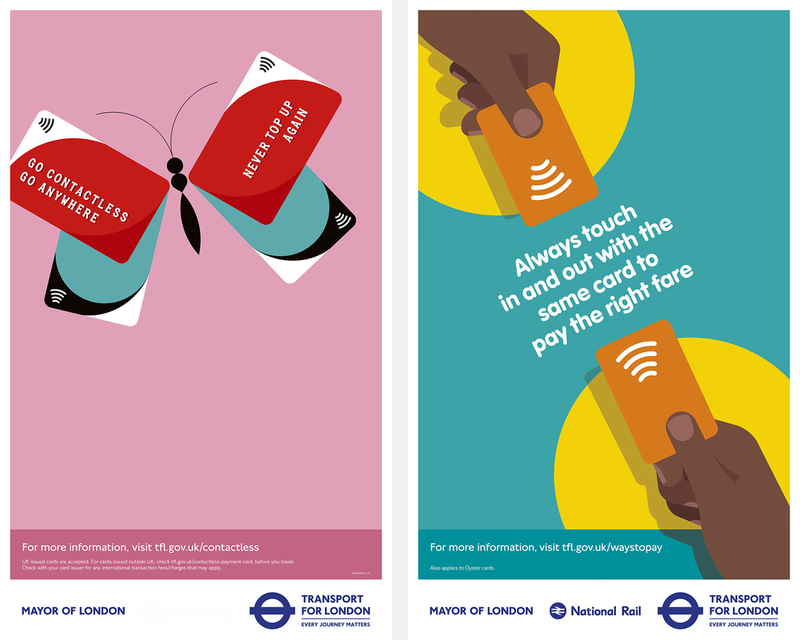 Each poster in the campaign is designed to inform Londoners about fares and ticketing to ensure they get the most out of using Transport for London’s network. The campaign is now live across billboards, press, digital display and digital outdoor, with each poster communicating a piece of helpful information relating to off-peak travel, contactless card payment, Oyster card refunds, daily fare capping and how to claim refunds on delayed journeys.